For information about tickets, see below or call (925) 945-1087. For all other inquiries, please submit your question through our online contact form below. The 2019–2020 concerts are on Mondays at 7:30 p.m. at the Rossmoor Event Center on Stanley Dollar Drive in Walnut Creek, CA. Click on the map to the right for directions. 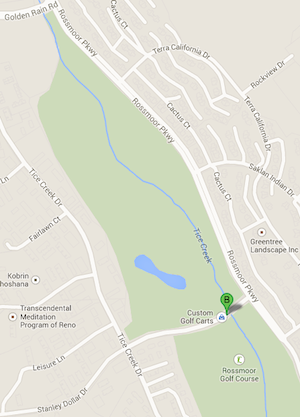 Enter the Rossmoor Gate. Continue on Rossmoor Parkway. Turn right on Stanley Dollar Drive at the stop sign. Turn left at the first opening—a very short distance—into the parking lot. Go past the Event Center on your right to the parking lot at the rear of the building. Single concert tickets will be sold on the night of the performance for $18 (cash or check only) at the table in the Event Center Lobby. For season subscriptions, please use the subscription form.